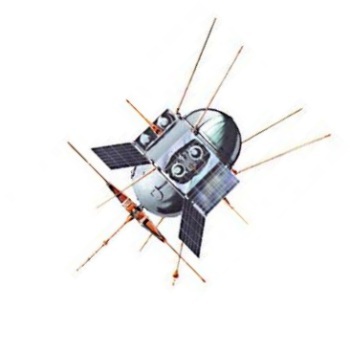 Ukrainian earth ionosphere satellite. Studied the influence of the ionosphere on passing VLF radio waves. Astronomy, Ionosphere satellite built by Yuzhnoye, Russia. Launched 1966 - 1968. Used DS Bus. Status: Operational 1966. First Launch: 1966-05-24. Last Launch: 1968-12-14. Number: 3 . Gross mass: 300 kg (660 lb). Family: Earth, Ionosphere sat. Country: Ukraine. Launch Vehicles: Kosmos 2, R-12, Kosmos 11K63. Launch Sites: Kapustin Yar, Kapustin Yar LC86/1, Kapustin Yar LC86/4. Agency: MO, Yuzhnoye. Bibliography: 2, 6, 99, 12278. 1966 May 24 - . 05:31 GMT - . Launch Site: Kapustin Yar. Launch Complex: Kapustin Yar LC86/1. LV Family: R-12. Launch Vehicle: Kosmos 11K63. Cosmos 119 - . Payload: DS-U2-I s/n 1. Mass: 250 kg (550 lb). Nation: Russia. Agency: MO. Program: DS. Class: Earth. Type: Ionosphere satellite. Spacecraft Bus: DS. Spacecraft: DS-U2-I. Completed Operations Date: 1966-05-26 . Decay Date: 1966-11-30 . USAF Sat Cat: 2182 . 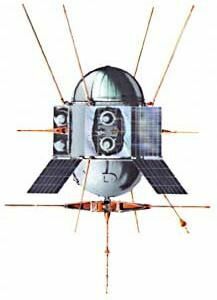 COSPAR: 1966-043A. Apogee: 1,278 km (794 mi). Perigee: 209 km (129 mi). Inclination: 48.40 deg. Period: 99.70 min. Studied the influence of the ionosphere on passing VLF radio waves..
1967 February 14 - . 10:04 GMT - . Launch Site: Kapustin Yar. Launch Complex: Kapustin Yar LC86/1. LV Family: R-12. Launch Vehicle: Kosmos 11K63. Cosmos 142 - . Payload: DS-U2-I s/n 2. Mass: 315 kg (694 lb). Nation: Russia. Agency: MO. Program: DS. Class: Earth. Type: Ionosphere satellite. Spacecraft Bus: DS. Spacecraft: DS-U2-I. Completed Operations Date: 1967-07-06 . Decay Date: 1967-07-06 . USAF Sat Cat: 2678 . COSPAR: 1967-013A. Apogee: 1,320 km (820 mi). Perigee: 216 km (134 mi). Inclination: 48.40 deg. Period: 100.10 min. Studied the influence of the ionosphere on passing VLF radio waves..
1968 December 14 - . 05:09 GMT - . Launch Site: Kapustin Yar. Launch Complex: Kapustin Yar LC86/4. LV Family: R-12. Launch Vehicle: Kosmos 11K63. Cosmos 259 - . Payload: DS-U2-I s/n 3. Mass: 325 kg (716 lb). Nation: Russia. Agency: MO. Program: DS. Class: Earth. Type: Ionosphere satellite. Spacecraft Bus: DS. Spacecraft: DS-U2-I. Completed Operations Date: 1969-05-05 . Decay Date: 1969-05-05 . USAF Sat Cat: 3612 . COSPAR: 1968-113A. Apogee: 1,331 km (827 mi). Perigee: 215 km (133 mi). Inclination: 48.40 deg. Period: 100.20 min. Studied the influence of the ionosphere on passing VLF radio waves..